Nature & Recreation - The City of Ridgefield, Washington | Forward Thinking. Rooted in Tradition. 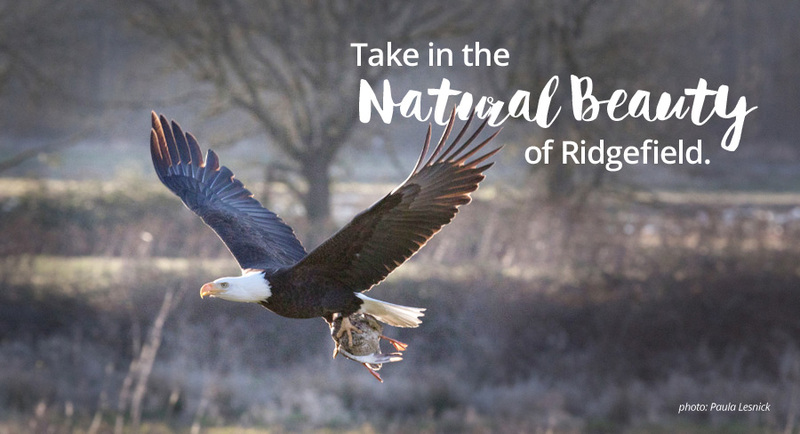 Opportunities for outdoor recreation are plentiful at the Ridgefield National Wildlife Refuge. 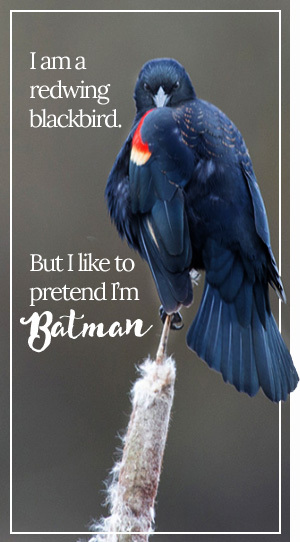 Adventure via kayak or canoe along a 21-mile long water trail, explore parks and land trails, visit the Cathlapotle Plankhouse, take to the water to fish or go boating, or scout for birds and other abundant wildlife in the 5,300-acre Refuge, which serves as the City’s backyard. The Port of Ridgefield offers two port launches at the Ridgefield waterfront on the banks of Lake River. The boat launch is located at the west end of Mill Street and Lake River. It provides two cement launches with a center launch float, a day-use dock, and a grassy picnic area. 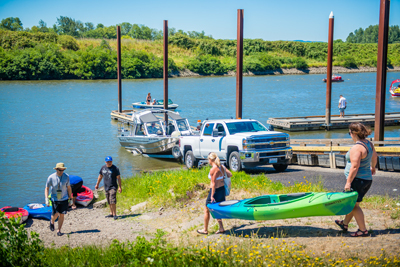 The Kayak Launch offers paddlers and non-motorized boaters a great place to float a boat and take in views of the Ridgefield National Wildlife Refuge and Bachelor Slough and Island. The Kayak Launch is located at the west end of Division Street and Lake River. It offers kayak rentals, guided trips, dock or beach launching, and a picnic area. The Marina is a convenient option for fisherman and boaters that prefer the northern Columbia River. The Ridgefield Wildlife Preserve encompasses the marina and offers boaters a quiet, beautiful retreat. There are numerous parks and trails in the City of Ridgefield and surrounding area that provide a variety of recreational opportunities. The Ridgefield National Wildlife Refuge offers adventures as well as driving, walking and hiking opportunities. The River ‘S’ Discovery Auto Tour route is a one-way 4.2-mile loop on graveled road that is open every day to vehicles during daylight hours and changes depending on the season (there is a Fall/Winter Tour and a Summer Tour). An Informative Audio Tour CD is available at the Visitor’s Station at the entrance to the Discovery Auto Tour Route and also at the refuge headquarters. This CD coordinates with 14 markers set along the Discovery Tour Route. There is no cost for the CD but its return would be appreciated. The Refuge also offers GeoAdventure; a free group activity kit that includes a GPS unit and a bag of clues designed for ages 12 and up. Cathlapotle was one of the largest Chinookan villages encountered by Lewis and Clark. Today it is one of the few archaeological sites on the Lower Columbia River that has withstood the ravages of flooding, looting, and development. This full-scale Chinookan-style cedar plankhouse on the Refuge serves as an outdoor classroom for interpreting the rich natural and cultural heritage preserved on Ridgefield National Wildlife Refuge. 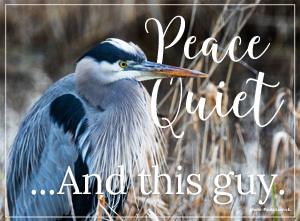 For more information about the Ridgefield Wildlife Refuge, visit the Friends of Ridgefield Wildlife Refuge website. Located at the corner of Simons and 3rd, Ridgefield’s Community Park includes picnic tables, a gazebo, and multiple features to challenge skateboarders. Safety regulations and usage rules are enforced throughout the venue. Davis Park is located in the heart of downtown at Main and Mill Street. This park features children’s play equipment, picnic tables, and a large grassy area perfect for a summer’s night picnic. Located at the end of Division Street off of N. 5th Avenue near Union Ridge Elementary School. The 40-acre park features a children’s play are, horseshoe pit, baseball, softball and soccer fields, and a large area for playing Frisbee or volleyball. The park also has a rental room with picnic tables, fireplace, and kitchen facilities by reservation only. Click here to reserve the park for your next event. Abrams Park is a local access point for Gee Creek which is a 4th order tributary to the Columbia River. The creek is named for William Gee, an early pioneer upon whose land the stream arose. The lowest segment of Gee Creek meanders for three miles through the Ridgefield Wildlife Refuge. In the spring of 2006, the United States Fish and Wildlife Service and Washington State University, Clark County Extension initiated the Gee Creek Watershed Restoration project, a joint effort to provide new funding to support and expand watershed enhancement efforts. The project was completed in partnership with the Gee Creek Enhancement Committee, Friends of Ridgefield National Wildlife Refuge, the Lower Columbia River Estuary Partnership, the City of Ridgefield, schools, and local residents. Federal, state and county agencies provided advice and assistance. Currently, additional funding sources are being sought to sustain watershed restoration work in the years ahead. Located at the end of Main Street, Overlook Park “overlooks” the beauty of the National Wildlife Refuge. It is a way to connect the urban and natural aspects of the city. The park, which was recently redone, includes an amphitheater, brick plaza, historical information about the early settlement of the Native Americans, and public restrooms. Fairgrounds Park is an 88-acre property that offers basketball courts, a picnic shelter, a playground, and a beautiful walking trail. Located at NW 164th St, Ridgefield, WA 98642. Vancouver-Clark Parks and Recreation, in partnership with more than 18 agencies and organizations, led an effort to develop a plan for providing greater access to and increased knowledge of the waterways in western Clark County. The launch point is located at Ridgefield Boat Launch, located at the end of Mill Street and Lake River. The plan mapped and designed the water trail through the lowland areas of the Lewis River, Lake River, Bachelor Slough, Vancouver Lake and a portion of the Lower Columbia River. The Water Trail Guide can be downloaded below. Old Town Ridgefield is the home to many historical sites including homes, churches, theaters, banks, and City Hall. A guide for a self-led walking tour can be downloaded below. For more information about Ridgefield Parks, visit the Public Works Parks webpage. For more information on planning and funding for Clark County Parks, visit the Parks Foundation webpage. Area soccer clubs provide recreation through advanced soccer programs for boys and girls ages 5 thru 19. Some clubs include Pacific SC, and Pacific FC. Ridgefield Little League provides baseball and softball opportunities from T-ball through Junior leagues (ages 5-14). Clark County Youth Football provides a tackle football program for youth throughout Clark County. The goal of CCYF is to build feeder programs for local high schools. The Greater Northwest Conference of Pop Warner provides football programs in Oregon and SW Washington. The Greater Northwest Conference of Pop Warner also provides cheerleading programs in Oregon and SW Washington. The Conference is divided into seven associations using local school districts as boundaries. Ridgefield residents participate in the North County Wildcats Association.